There are new details on a bitter break-up between a Millbrae man and his former girlfriend, who's now charged with his murder. She and two others were arrested this weekend in connection with his death. HILLSBOROUGH, Calif. (KGO) -- Police say a Millbrae man was killed by his ex-girlfriend, and she's not the only one now under arrest for his murder. Tiffany Li, her current boyfriend Kaveh Bayat, and another man named Olivier Adella have all been charged. Keith Green was missing for two weeks before his body was found and identified. 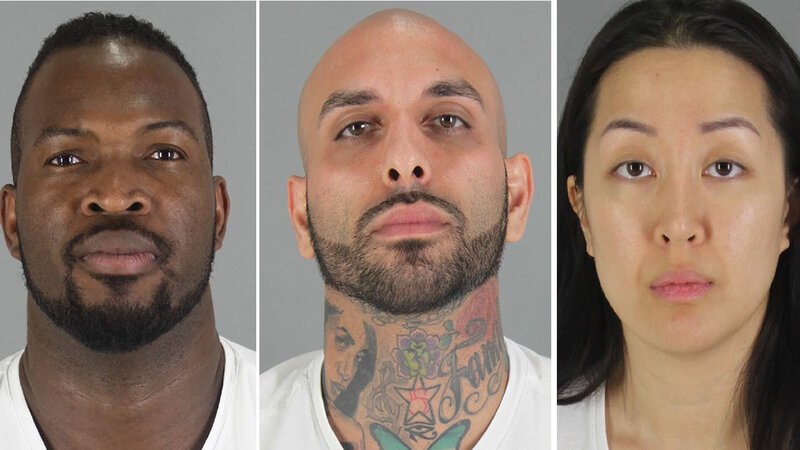 Last Friday, sheriff's deputies went to an apartment on Trousdale Avenue in Burlingame and arrested Adella. A once loving couple, Green and Li had two young children. Li is the daughter from a powerful and wealthy family from China that's now living in a mansion her mother bought in affluent Hillsborough. Li and Green had a bitter break-up. On April 28, Green went to the Millbrae Pancake House to meet Li. The day after, his cellphone was found in Golden Gate Park. On May 11, his body was discovered in a field off Highway 101 near Geyserville. "His body was not in good shape," said San Mateo Sheriff's Dept. PIO Sal Zuno. "And being it was outdoors, we needed dental records to determine his identification." ABC7 News has learned Green's body was found with a single gunshot wound to the neck. "I was concerned," said attorney Mitri Hanania. "I had a hunch what might have happened." Hanania was once Green's lawyer in a case against Li; a case that had him worried about Green's safety. He told ABC7 News it was an acrimonious split. "It all began with Keith's discovery that Tiffany had an affair with his friend Kavi, that he caught him," he said. Hanania represented Green last fall when Li falsely accused him of stealing her Range Rover. She told police she was meeting Green at a Starbucks. That's where they arrested him. But prosecutors threw the case out when Hanania showed them a text from Li to Green, saying she had filed a false stolen car police report. Hanania says he gave this information to the district attorney when he first heard Green was missing.